January 20, 2018 April 10, 2018 - 7 Comments. Complaints of getting a fever after swimming can be dramatic and confusing. Exiting a pool in shivers, is not at all what one expects. Firstly, there may be many reasons for this occurrence and pinpointing exactly to what degree one has a fever and why one has a fever is crucial. In cases of high fevers, with temperatures reaching 103 F (39.4 C) or greater, consult your physician immediately! And, even though, there are many over the counter medications for fevers, knowing the underlying cause of the fever will help in identifying proper treatment. If the fever is not accompanied with high temperatures or with some of the symptoms mentioned below, the swimmer could just be fatigued and/or overwhelmed by their workout. Tiredness requires rest. Like all exercise programs, taking a day off is beneficial to repairing muscles and helping them grow. Fevers are characterized by pyrogens chemicals present in the bloodstream. Pyrogens are produced by bacteria, molds, viruses, and yeasts, as defined by https://medical-dictionary.the…. These pyrogens make their way into the hypothalamus (the body’s thermostat located in the brain) responding to viral infections, causing muscles to contract, creating shivers. When this occurs, the body temperature rises. Common pyrogens (Interleukin-1) are produced by white blood cells when they come into contact with certain types of bacteria, calling other white blood cells to take action. Fevers occur in order to help the immune system fight the infection. Usually the fever will run its course in a few days and the body’s temperature will go back to normal. In cases where fever do not subside, hospitalization may be necessary. Generally, it’s evident that someone has a fever if the body temperature is elevated and patient is complaining of a lack of energy. Applying cold compresses on the patient’s forehead is recommended while transporting them to a doctor for further testing. This may give them some temporary relief to help cool them off. Aspirin is also another agent to help in the cooling process. Again, consulting a doctor first about any medication is advised. Unfortunately, swimming in public pools and even in lakes and oceans can create these fevers. It could be something simple like the temperature of the water that is too cold for the swimmer. This is the best case scenario because once warmth is applied, the swimmer will be back to normal within no time. However, if the swimmer exits the water with a high temperature, nausea, sweating, headaches and other pains, then an infection, possibly found in the water, may be the cause of their discomfort. 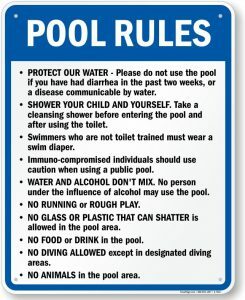 Even though there are chemicals like chlorine, in public pools to combat germs, they have their work cut out for them if other swimmers are not practicing proper hygiene, or are infected. Plus, some swimmers relieve themselves in public pools, mixing their bodily fluids in an environment that is not perfectly equipped to eliminate the waste. Then bacteria forms in the water and it is ingested or seeps through the pores. Applying these simple practices may help to alleviate problems for others who have been injured by those who do not follow these kind courtesies. We must all be concerned about how our actions affect others. Here’s a sign from Oregon that really captures this point. For those who suffer from getting fevers after swimming, there are some simple precautions that can be applied to one’s routine. If a child is prone to fevers, catching it early is key. Parents may wish to carry a thermometer with them and check their child’s temperature every 20 minutes. If their doctor has prescribed antibiotics, carry those as well. Immune boasting can be another way to combat fevers. Balanced diets and multivitamins can assist in maintaining a healthy inside. Also, conduct an interview with the maintenance staff of your local pool facility. Asking how often the pool is cleaned and how often the chemical levels are checked, needn’t be an uncomfortable endeavor. When the pool staff is trained well, they will tell you everything you need to know and more than you ever cared to know about pool care. Research is another tool at your disposal. We live in an age where reviews are common place. See if you can find a wide range, favorable and not so favorable, then judge for yourself if it’s a good fit. If, there aren’t any online or in local newspapers, ask around. 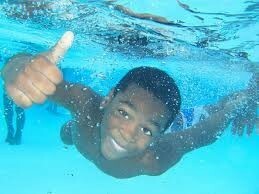 Sometimes when and how often one swims can be a factor with this fever after swimming issue. Swimmers may wish to stay in the water all day, but staying longer in an environment that is affecting one’s body is ill-advised. The body is equipped to handle some amount of germs, but it can become overwhelmed. Also, if at all possible, try morning swims at public pools because pools are cleaned beforehand and you’ll be the first one in. Hopefully, this post has helped you, if so, please leave a comment below. Previous Article Vasa Trainer Pro Review – Can it Increase Swim Speed? I found your article post very interesting, I never knew swimming could cause people to get fevers before reading your article. 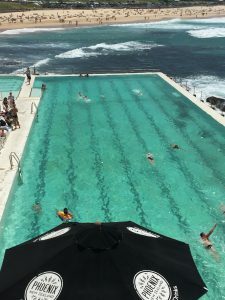 You provided good tips before going into the water as pool etiquette, I was wondering are these things such as going into the water with perfume or cologne on possibly causing fevers for some people? Jeffrey, I learned how to swim at a local public pool and the instructors were extremely vocal about what we could and could not do before a swim because of how regulated and balanced the water and chemicals had to be. Plus, there would always be an inspector present who would routinely test the water, while we were learning to swim. Think about the air and how walking in a polluted area affects the body. The water is no different. I hope this doesn’t stop you from swimming! Thank you. This post brings up awareness of the possible side affects of long lingering swims as well as beach swimming, and bacterial exposure. I do remember on at least a couple of occasions getting fevered but it was usually due to too much exposure to the sun. I see evidence that everyone’s immune systems is in different stages and oh how hard it is to keep a child who wants to go to the pool from going and enjoying it. The awareness is needed and this information you added for the reasons that bring on the fever are very helpful. I love swimming when I can, which isn’t at all right now, but a future move is going to bring a whole lot of new opportunities into a change of scenery. Thanks so much for your post. I searched this because my husband had a itchy rash soon after he went to the pool even he had a shower before. And started body ache, then fever soon he came home. I will consult a doctor if he won’t cure for antibiotics. This post made me aware of actually what happened. Thanks dear.